Clark, C., Gangano, S., LaGanga, L., Markell, H., & Jarvis, D. (April 2013). Las Vegas, NV. Healthcare reform is changing who pays for behavioral health and expanding the role of healthcare providers to ensure patients receive effective behavioral health services. In this new environment, behavioral health organizations must be seen as high-performing, cost-effective service providers that address clients’ whole health needs. How do you leverage your hard work to be seen as your community’s Mayo Clinic of behavioral health? Discuss the relevance of the concept of a behavioral health center of excellence to the provider community and behavioral health consumers. Examine the definition of a behavioral health center of excellence and how it aligns with healthcare reform. Explore seven key elements necessary to being seen as the Mayo Clinic of behavioral health in your community. 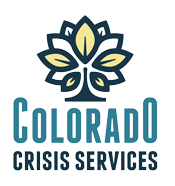 Slides 24-30 are on the Mental Health Center of Denver’s Recovery focus and Wellness Culture.